Look inside the Winter 2018 issue of BALE! 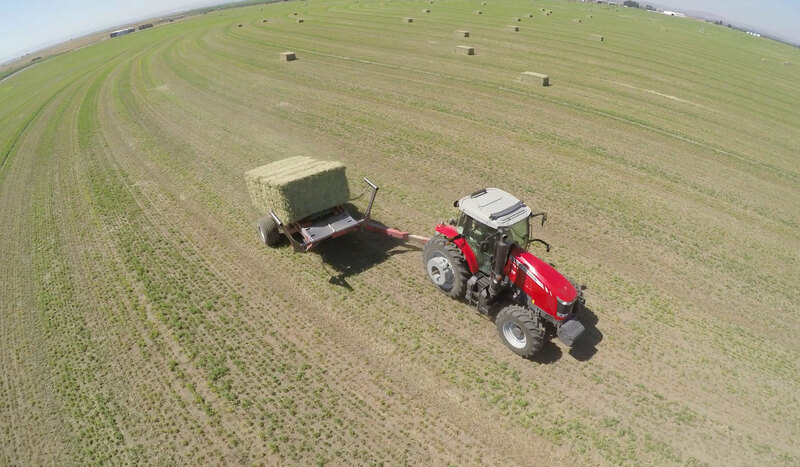 If you’re interested in receiving BALE magazine and you live in the United States or Canada, see your Massey Ferguson and/or Hesston equipment dealer. From new varieties of high-nutritional forage, to farm equipment that maximizes bale quality, you’ll find a wealth of information about production innovations and leading-edge agronomic practices in the pages of our latest issue. Keep up with the latest trends, gather harvesting tips from the experts and more in the Winter 2018 issue of BALE. Forty years ago, Calvin Calaway’s grandfather was a pioneer in the exportation of alfalfa products to Japan. Discover how the Calaways have diversified the operation to maximize their domestic and global crop offerings. This dairy owner strives for a balance between tons and nutrition. Discover his and his family’s strategies for a self-sustaining operation. Interested in growing timothy? 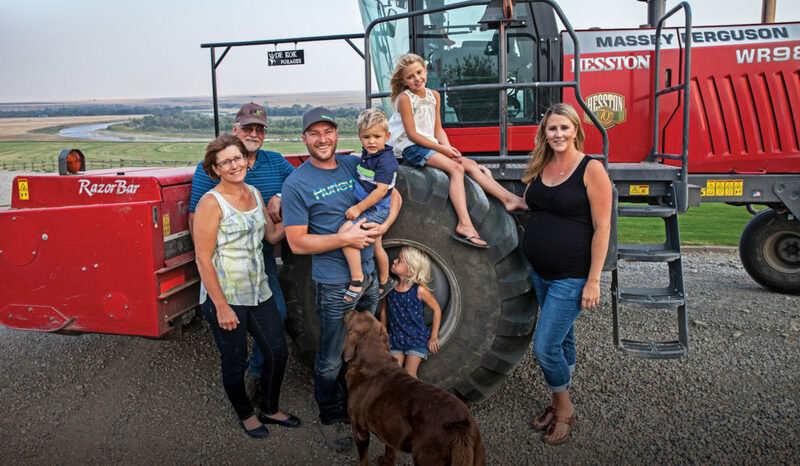 Check out how this Alberta farmer has made it a lucrative crop in his family’s operation. 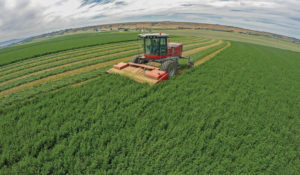 These new varieties of alfalfa can provide higher-quality forage and greater harvesting flexibility. 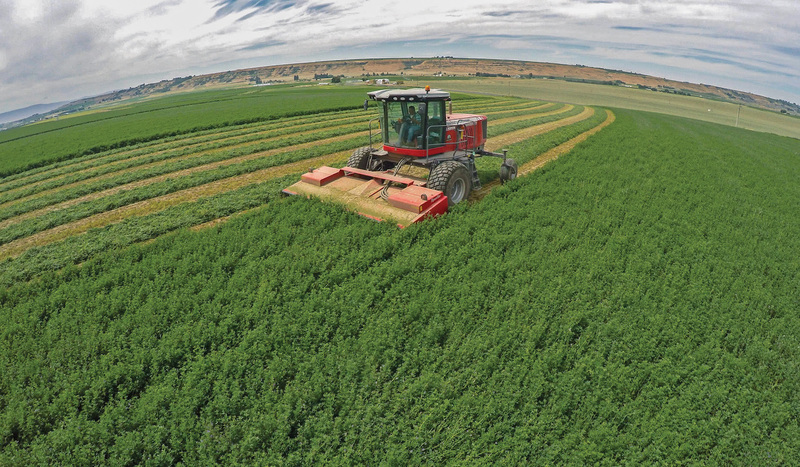 University and commercial researchers discuss the benefits of alfalfa with reduced lignin. From the importance of mechanical conditioning and weather to proper raking and windrow formation, Montana State University Extension Forage Specialist Emily Glunk provides her insight. The new WR9900 delivers more power to cut and condition higher-yielding forage and biomass crops, as well as the comfort for those long days in the cab. See these articles, videos, and more in the Winter 2018 of BALE—they’re all on our website.